The cold weather’s here and all of us have already taken the warm clothes out of their summer shelter. But let’s not forget something – that they need to be washed from time to time and especially after such a long period in the wardrobe. And we decided to share with you the most useful tips on how to take care of the so precious in the winter scarf. As everything else, when it comes to cleaning the most important is to find out what is the fabric which was used for the scarf. The best way to do it is to read the labels or you can ask your domestic cleaners London. 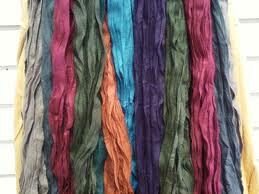 This is where you can find some more information such as the different ways your scarf can be treated. It is most certainly shown there whether you can wash the scarf in the laundry or whether you have to dry clean it. Now when you know that, you can take step number 2. In case it is allowed, then you can feel free to just put the scarf in the laundry and wash it using some mild detergent. If not, then follow these instructions. Put your scarf into a basin full of cool water and add the same mild detergent you can use for the laundry. Put the scarf inside to soak and then squeeze it. Leave it this way for a couple of minutes and rinse with tap water. When the scarf is washed, you can put it on dry towel to get dry but not in the dryer because it may damage it badly. Sometimes, you may have a scarf which is not allowed to be washed in neither way, then you can ask your domestic cleaners London for more useful tips and recipes. After all, there is nothing impossible, right?